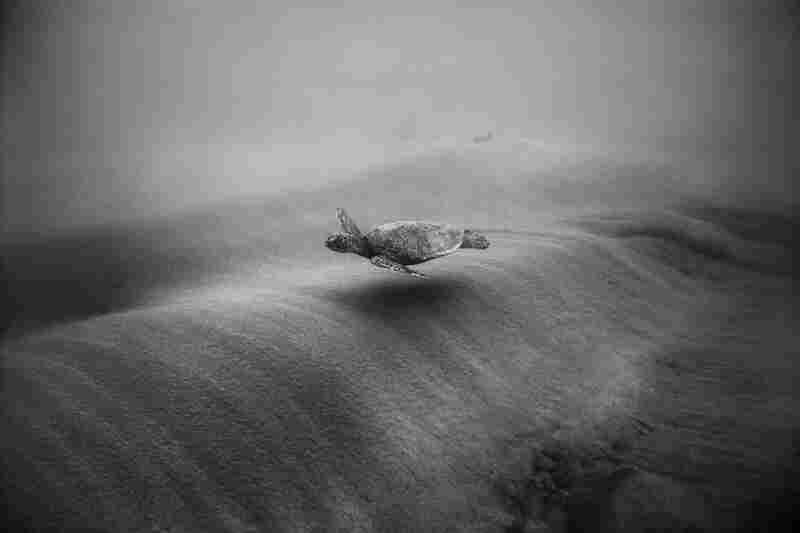 Photographer Wayne Levin's Magical Water World : The Picture Show An expert underwater photographer shares some of his photos and discusses a new book. A while back, I stumbled across a mysterious school of photos, as it were, somewhere, way out at Internet sea. 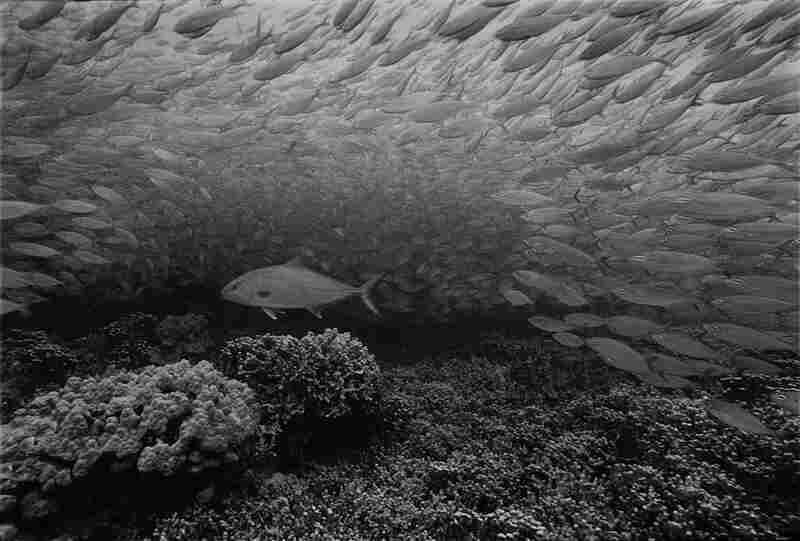 They were mysterious and magical scenes of underwater flora and fauna; schools of fish, sharks, coral clusters and free-divers — all black-and-white and glowing in underwater light. I spent more time fishing around on the photographer's site and thought: I'll wait for the day when I have an excuse to contact him. 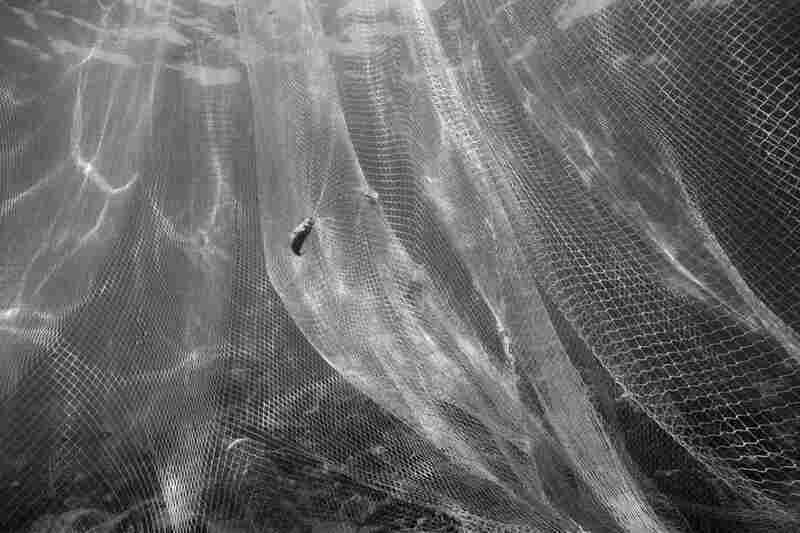 The photographer, Wayne Levin, now has a new book, called Akule, and I wanted to know more. He agreed to share a wide selection of his work and answer a few questions. Some background: Levin received a Brownie camera for this 12th birthday; later received an master of fine arts degree in 1982; somewhere in there he moved to Hawaii and is still there today. 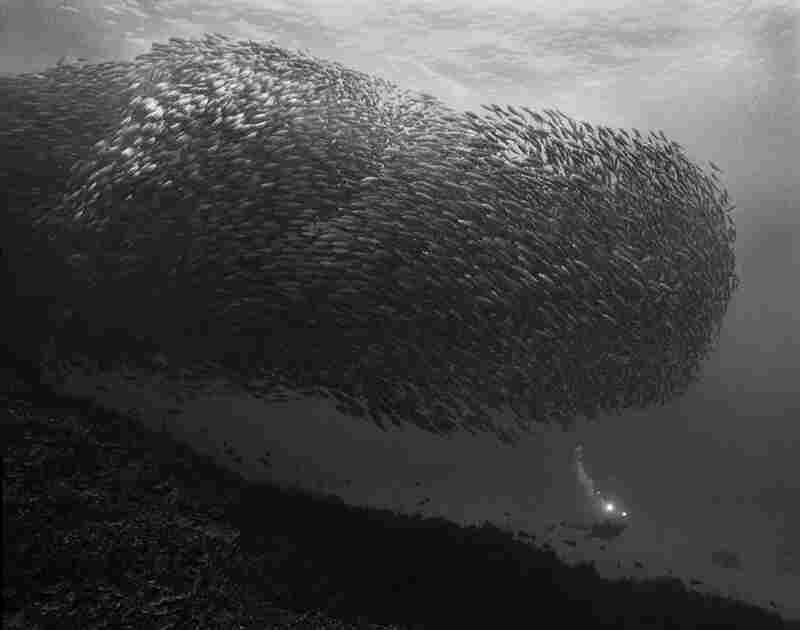 He has been exhibited and published widely around the world but ultimately feels most comfortable in scuba gear. The Picture Show: Describe the underwater universe. 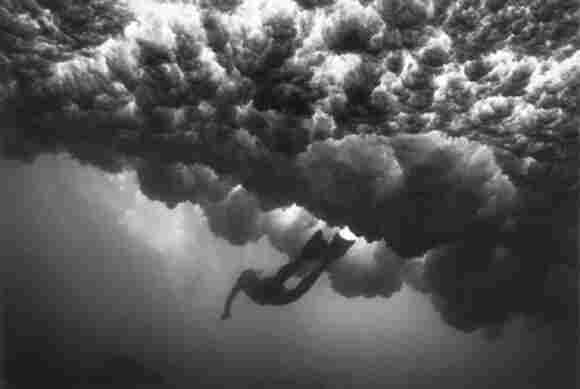 Wayne Levin: I titled my first book of underwater photographs Through a Liquid Mirror, which was a play on Through the Looking Glass. Just like Alice, who passes through a mirror and finds herself in a world where things are different (even the rules of logic have changed), when I pass through that mirror called the surface, I am equally in another world. Things look different, visibility is more limited, and the atmosphere has more weight, density. Moving through this world is like flying; you can move in three dimensions, and be suspended above or below things. There are plants and animals, which are different from what we are used to seeing; they move differently. This all creates a possibility to take photographs that look different from anything I have seen before. I feel a sense of freedom, and I can feel myself relax, and my bodily functions slow down as I leave the anxieties of the human world behind. But the ocean has its own dangers. ... So there is a freedom in being underwater, but also a responsibility to always be aware of your surroundings, and yourself. What came first for you — photography or fish? Photography. Most underwater photographers are divers first, then they get into photography to capture the beautiful scenes they see underwater. I was a photographer first. 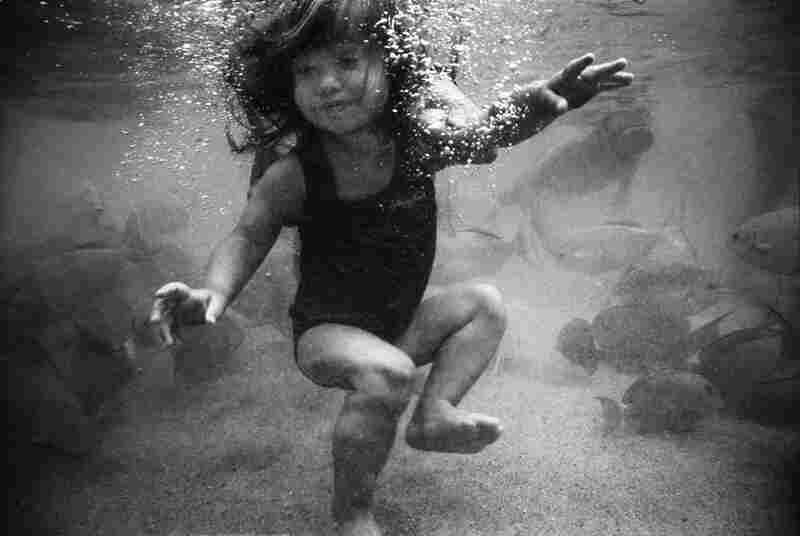 My first serious underwater photography was when I finished graduate school at Pratt in 1983. 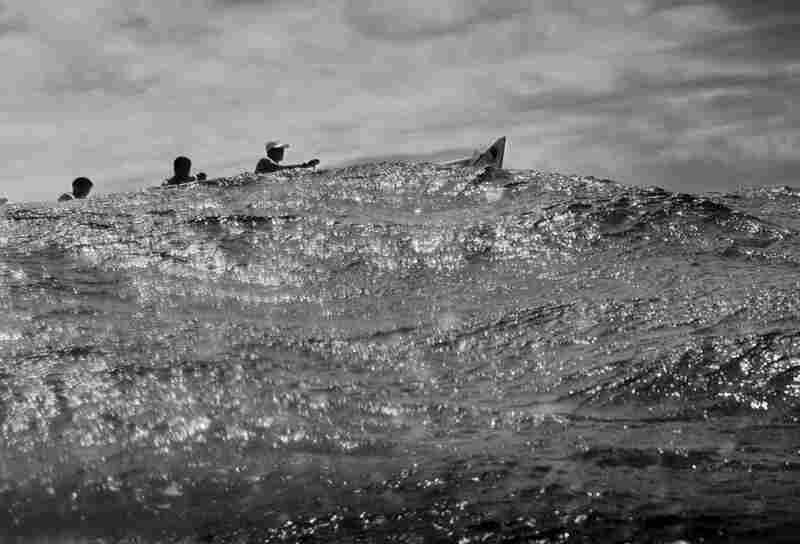 I returned to Hawaii to teach photography at University of Hawaii, and decided to photograph surfers from underwater. My first attempts were in color, but the results were very murky blue on blue. 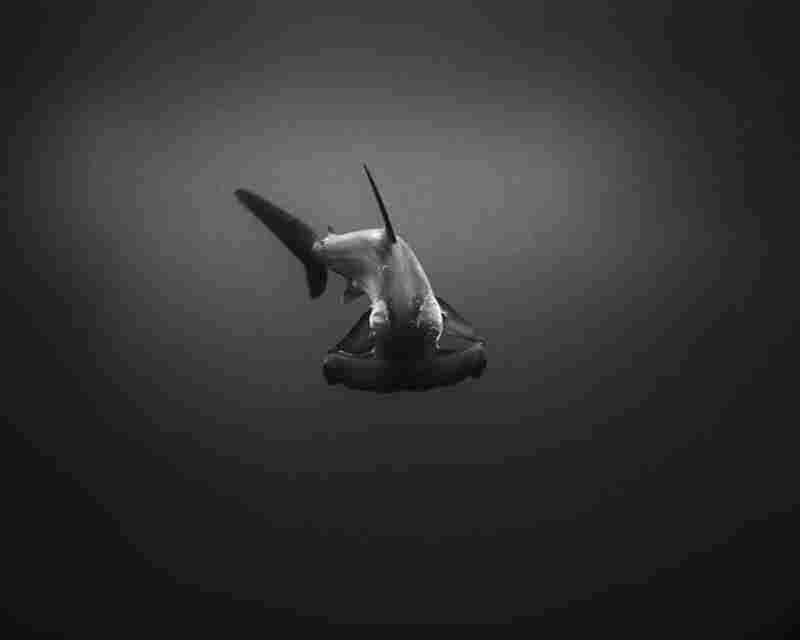 Then I switched to black and white, and everything came alive. 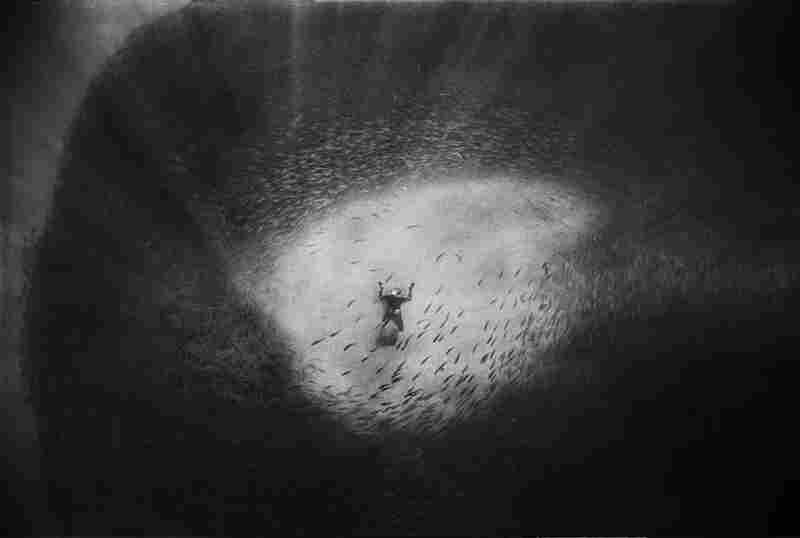 The black and white abstracted the ocean, so the viewer wasn't sure if the figures were suspended in water or sky. After photographing the surfers for a couple of years, I went back to terrestrial projects. 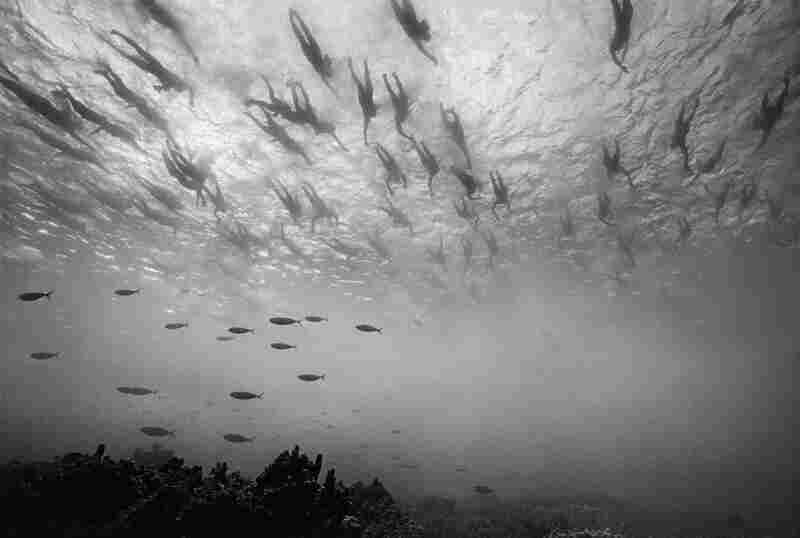 It wasn't until I moved to Kona in 1989 that I became immersed in underwater photography. Can you describe some of the sights and sounds of that world? If it's whale season in Kona (winter), you can often hear the humpbacks singing. 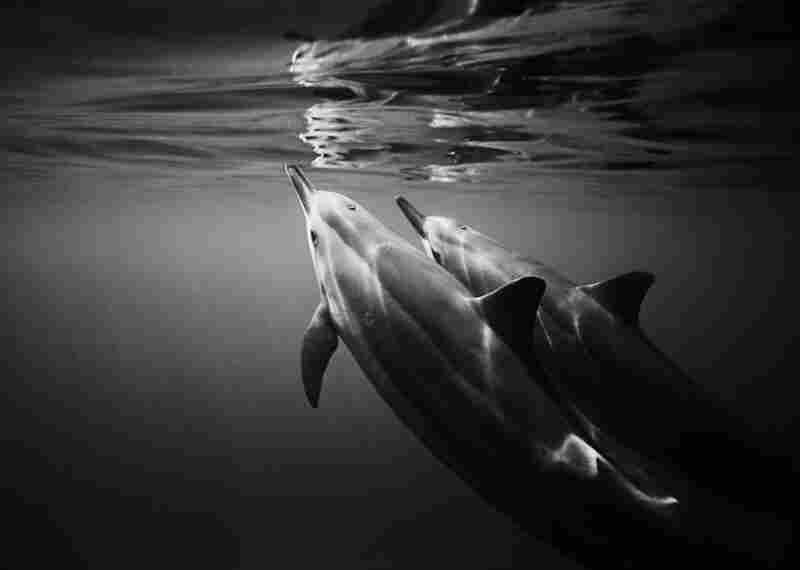 Sometimes you hear dolphin clicking and chirping if they're around. If you're near the shore, you can hear the sound of surf crashing on the rocks. Or if there are boats around, you hear the very loud and pervasive sound of their engines. Visually, in Kona you often glide over beautiful coral gardens, or sand channels with amazing sand patterns. When I'm way off the coast in deep water ... I look down and see the light rays disappearing into the bottomless deep blue abyss. Could you talk a bit about "akule"? What does the word mean? Akule is the Hawaiian name for big-eyed scad, a fish that reaches about 8 feet and schools in huge, tightly packed groups. 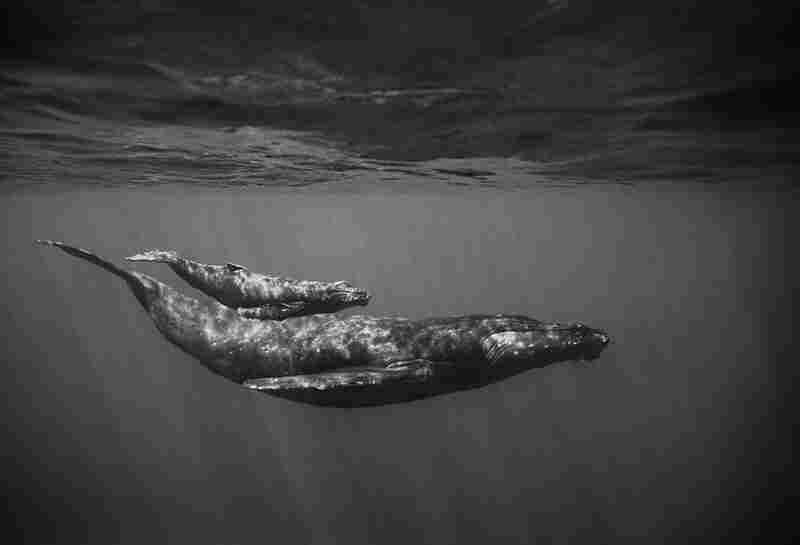 I was photographing spinner dolphins in Kealakekua Bay (infamous as the place where Captain Cook was killed). When swimming out to photograph the dolphins, I saw what first appeared to be a huge coral head. 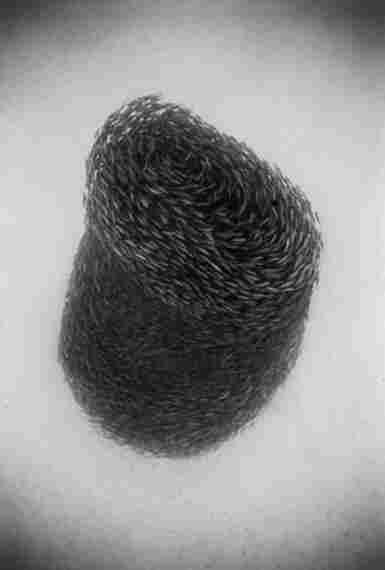 But as I approached it, I could see movement within the shape. ... 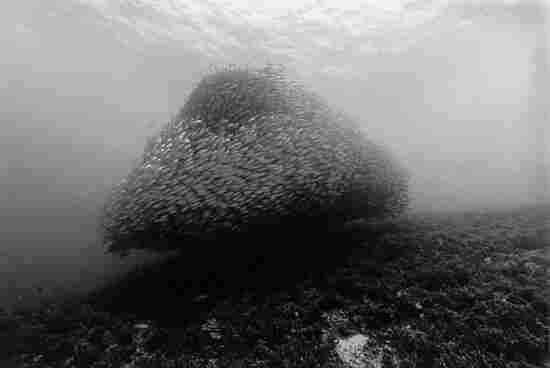 I found that it was a massive school of fish. I took a few pictures, then swam on to find the dolphins. As time passed, every once in a while I would spot these akule schools on my swims in Kealakekua Bay. 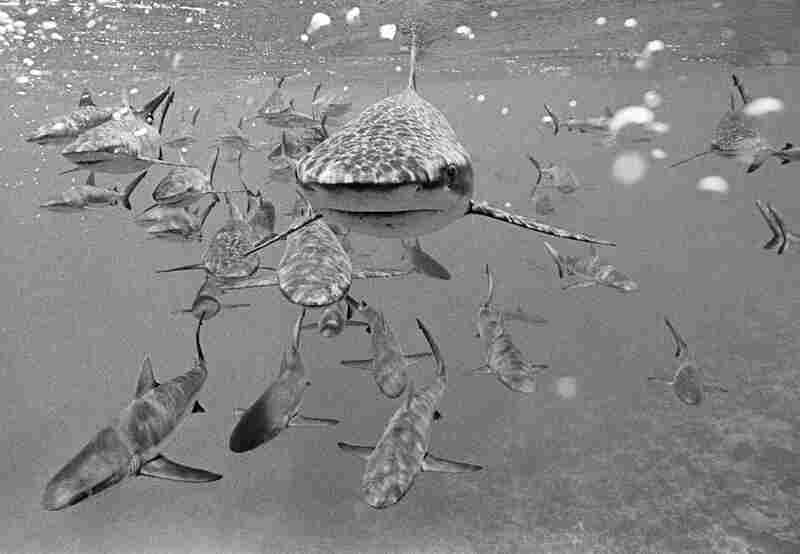 Finally, I realized that these schools were an even more interesting photographic subject than the dolphins. So over the next 10 years I shot hundreds of rolls of film of the akule schools. 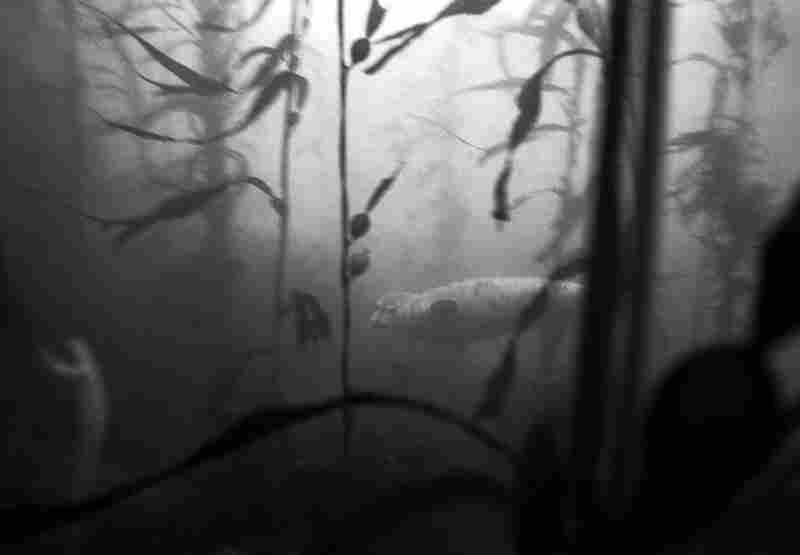 You can see more of Levin's work, including a gallery of fish schools, on his website.